Need to feel more secure at home. They have mostly good reviews from satisfied customers, at a reasonable price. This item is for my 76 year mother who lives along. She can protect herself when she at home. My door doesn't close well. Purchased one of these and needed another one. Used them before and some friends saw them and liked them. I'm getting them as a surprise present! I chose this security bar because I need extra security on the door to my apartment in my apartment house. Privacy, without having to install a door lock. This Item Works Great. You Cannot Get The Door Open No Matter How Hard You Try. Highly Recommend. Because I have others and feel more secure with them in place. I choose this for added security. I wanted to add an extra layer of security to my home. for security. been looking around for this item and finally found on walter drake. They seem to have everything I need. Living in a rental house, want this for when I am away. The price was why I chose this item. This is my 2nd Security Bar....I bought my first one from Walter Drake 20 years ago. The only reason I'm buying a second one is that the foot came away from the bar after all these years and I just plain wanted a new one. To feel more secure in my apartment at night. When I go away. Added comfort. 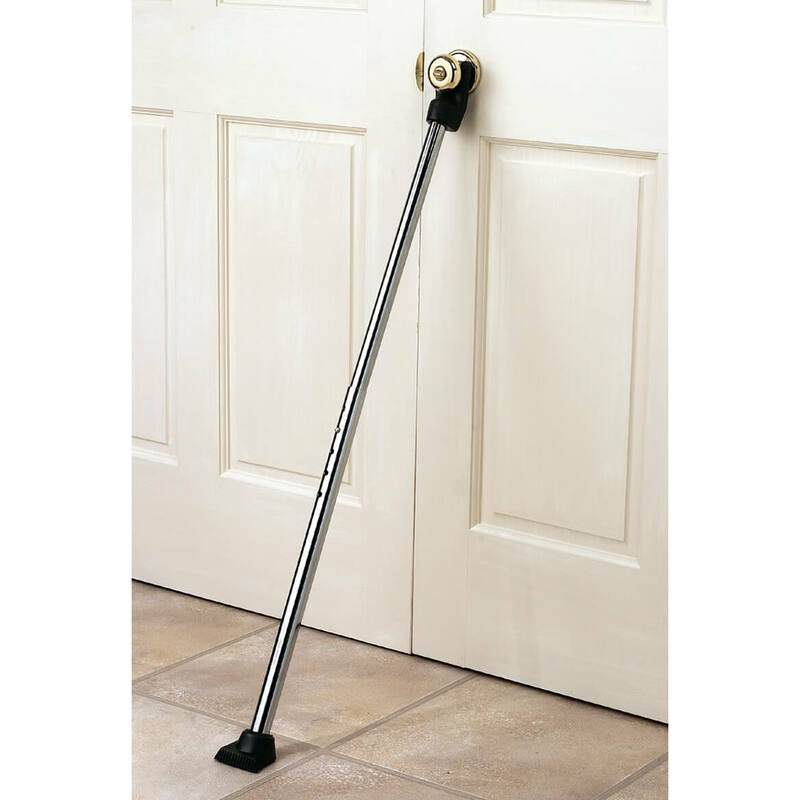 Does this door security bar work when the floor surface is carpet versus tile, linoleum, wood or laminate flooring? I was thinking it might just slip backwards on carpet. BEST ANSWER: The door security bar works fine on either surface. I love mine. It reall does secure your doors. Thank you for asking this question Daniel!! The answer should be posted in the actual description of this item. What is material on piece which contact with floor. Is it plastic or rubber? Will this security bar work for a sliding glass patio door? BEST ANSWER: It could depending on how you plan to use it ....but it is not really designed for that in the sense that the foot and top are angled. If you didn't put those parts on (or if you take them off) then it could be an adjustable bar that you lay in the track. But at that point, you might as well just get a really think dowel or broom handle from the hardware store, cut to length, and lay in the track to prevent the door from sliding. 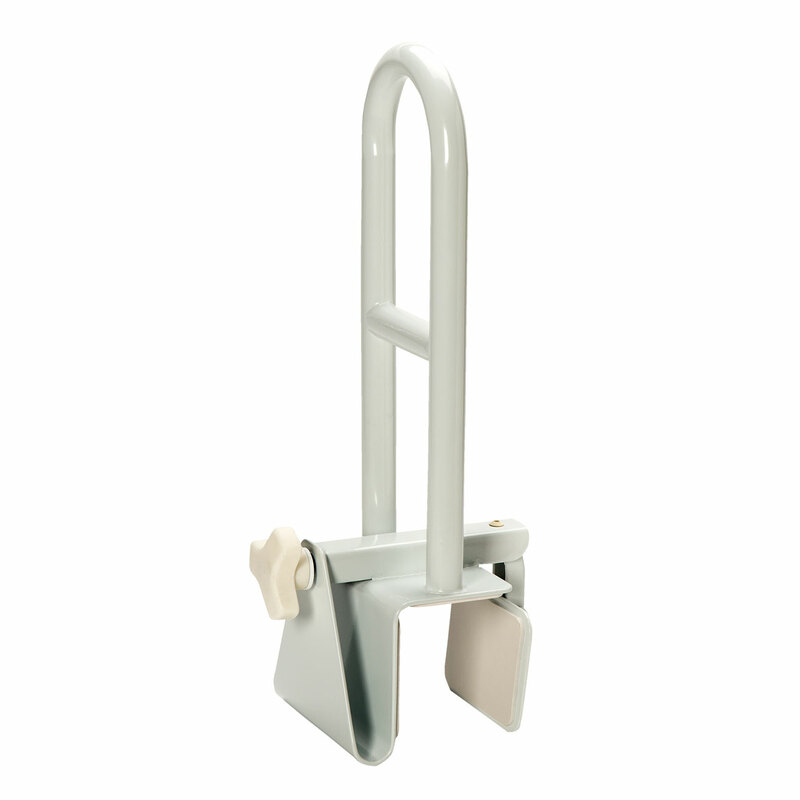 This is a great product for a normal swing door with a handle. I have used them for many years. Yes, I think it would work fine for sliding glass patio doors. It's adjustable, which is good since you need to put it at the angle shown in the picture for it to work right. Thank you for your question. 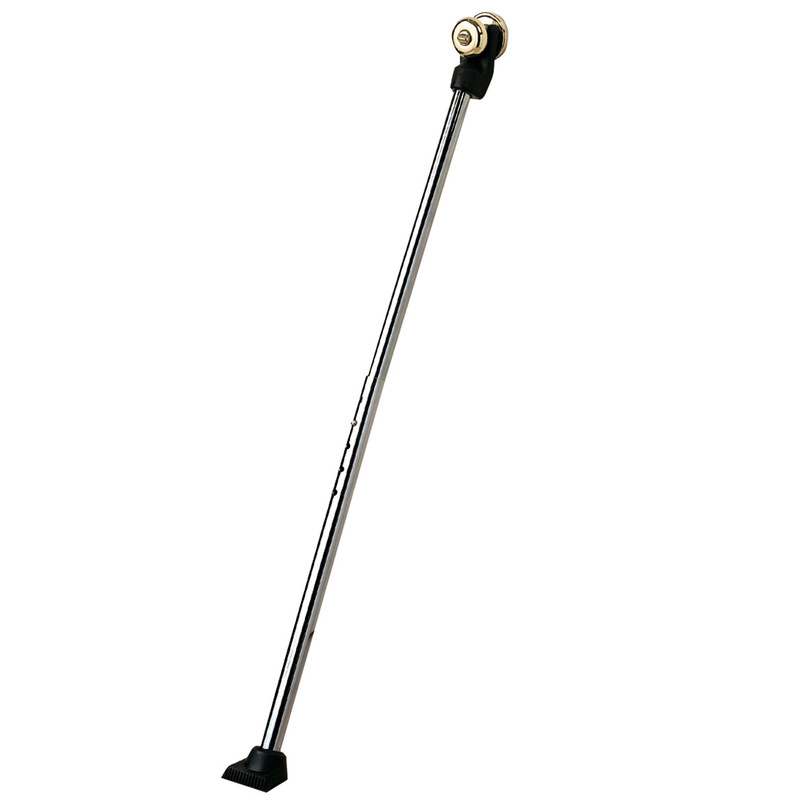 This door security bar is intended for doors with a regular open and close motion and not for sliding doors. We apologize for any inconvenience. Does the security bar work with Lever door handles (not knobs)?? BEST ANSWER: The security bar has a "U" shaped top, so as long as the lever door handle will allow the bar to wedge underneath it will fit fine. The door security bar has an opening on the top that seems to fit under any regular door knobs. I use it for my side door because the lock is not working right to fully secure the side door entrance. Yes, My apartment doors are fitted with lever door handles and the security bar fit underneath the lever. I have had no problem. Thanks very much for your response and detail. Much appreciated. who is this made by/brand name? BEST ANSWER: Thank you for your question. We cannot disclose vendor information as we are under contract with them. We hope this information will be of help to you. how many pounds of impact does the bar hold? BEST ANSWER: I had a 180 lb man push it from the outside after I secured it in place. He couldn't get the door open. I can't specifically tell you the pounds of pressure this would be but I felt safe. I take it traveling and use it in hotel rooms too. do you have out swing door security bar ?. Does the door security bar work with carpet? BEST ANSWER: We sometimes use two on tile and one on carpet. They seem to work equally well. Do you have security bars for windows? BEST ANSWER: Thank you for your question. We do not currently offer window security bars. We apologize for any inconvenience this may have caused.